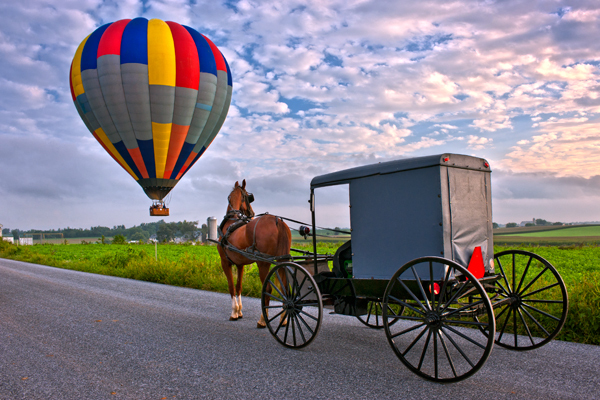 This is an image from the past and includes an Amish buggy pausing to let a hot air balloon drift across the road in front off him.I apologize for my lack of posting recently but the stresses of life have taken the wind out of my sails right now. I was driving around looking for shots when I noticed a buggy that seemed to be tail gating another buggy,but as I got closer it became apparent it was being towed. 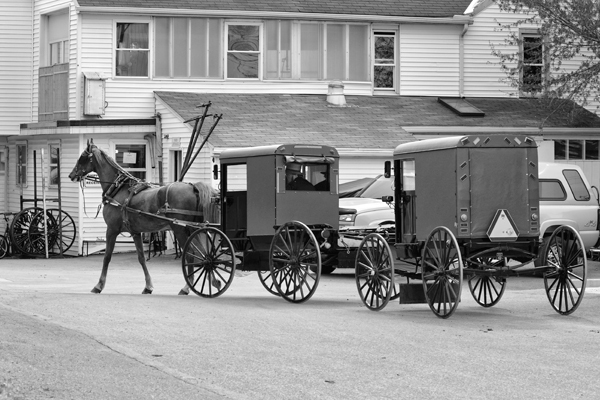 Here they are arriving at a buggy repair shop in the heart of Amish country. 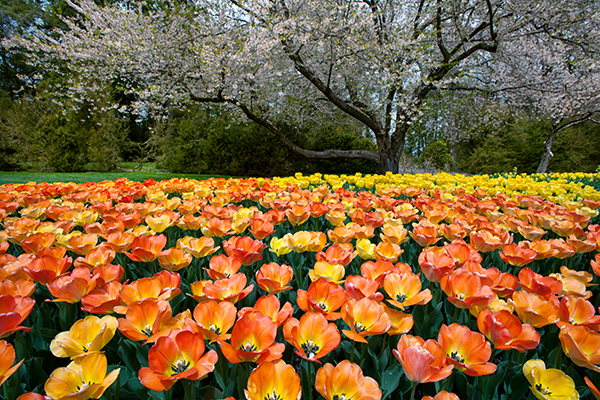 This crop of tulips were some of the few that were blooming last week at Longwood. Not my favorite colors but a nice scene anyway. This Amish child is enjoying the best seat around as mom heads to the local store. I was parked at a store and saw them coming and managed to get this shot.The kid was waving as they came down the road but I have no idea who she was waving too. 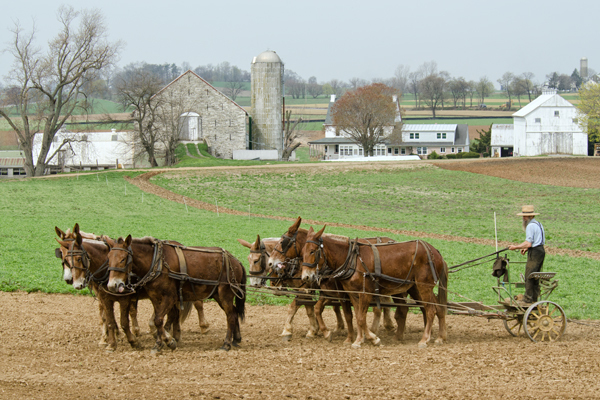 Farmers have been struggling to get crops planted after an extended winter and wet spring.This Amish farmer guides his team through the field preparing the soil for planting. Hopefully sweet corn will be on time for summer picnics. 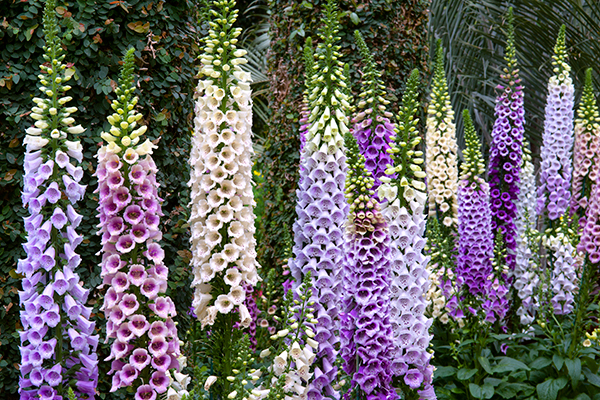 The ever popular Foxglove has always been a rather frustrating flower for me to try and grow in my garden,so when I see displays like this,I just stand in awe. 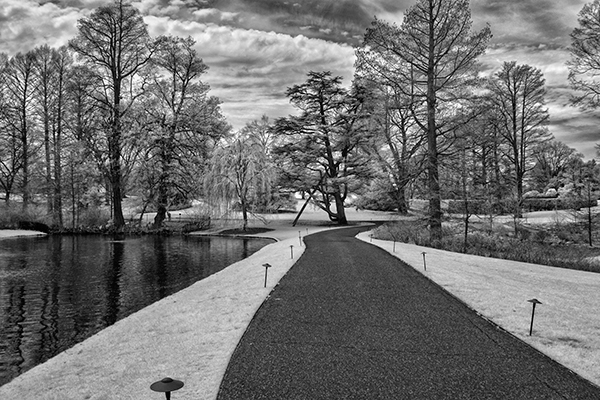 We tried several times to use them in the garden,but either they die off and never return or blow over and get destroyed.We staked them and tried a variety of ideas but finally gave up.Someday I hope to visit an area like the Cotswolds in England, where cottage gardening is an art form.This was at Longwood Gardens.